Check back soon for news about The Cost of Dreams! Congratulations on writing such a magnificent book! I started it the second day we were in Lordsburg and picked it up every free minute between painting and cutting back dead cactus and visiting with relatives. It is a suspenseful, spell-binding and poignant tale. I felt for Flora both as an illegal making the crossing and beginning life in the US and as a wounded mother with everything in her life out of her control. But it is more than an action-packed adventure; it is a vivid picture of the people in the underclasses both here and in Central America. Of particular interest to me as your sister-in-law was how much of you, your experiences, and your ideals are portrayed in the novel: your knowledge of the lives of the indigenous in Central America, the gaping cracks in the medical system in the US, flying small planes, living in the far north and the Southwest, and the power of the love of family. Of course, I was engrossed in the descriptions of the little ranch in Lone Wolf with trains, pool, cattle tanks, Lobo, Coach Moore, volleyball, and teaching. As I read it I said to myself that as well as I thought I knew you, I never knew you were such a storyteller. And it is also obvious that you have great powers of observing and listening. I was also impressed with the amount of research you must have done about the Barrancas del Cobre and the Indians there. I got the feeling that what I was reading is how it actually is today. And your descriptions of the places I know well rang true also. I spent some time reading your website, book junkie, and other reviews on the internet. Do you know I don't remember knowing that you were an English major? Interesting for a person who spent his working years as a physician. I knew you were an avid reader and spent years on this book while working in an incredibly challenging career. I was intrigued that with all the trials and tribulations of getting this book completed and published you are willing to begin again. I'm sure that if you choose to write another novel it will be a gem. I am impressed with the product of your labors and send you kudos on the process of becoming a writer. "Some books are destined to become best sellers and I truly feel this is one of them. And I’d be very surprised if it didn’t pull in several awards, as well. I’ve read mixed reviews of this book. Many of those who didn’t particularly care for it were the readers who found it difficult emotionally. That, however, is the point of the story. 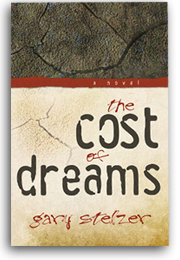 Gary Stelzer brings to the pages a tale meant to shock. Although rare, it can be a somewhat common story for those immigrants who face some harsh realities when they trade one tough situation for another. The main character ends up fighting for her life in this unusual story of drugs, kidnapping, murder and insanity. And, indeed, there were parts very difficult to read, but without them, this would not be the book it is. Even though it is fiction, the words paint a picture of a story that could really have happened. This is an excellent read and one I’d recommend to anyone wanting to understand the trials many immigrants could potentially face in a new land." BJ: If someone were writing a story about Gary Stelzer what would your blurb say? BJ: How do you get started with writing a story (as in, how do you start developing the story, how do you get inspired for it)? Do you start with an outline, synopsis, characters; what is your writing process like? GS: I can only speak to the experience of doing the first book. For THE COST OF DREAMS, the story began with a deep feeling for the plight of a foreign born woman in my practice that I’d taken care of some years ago. She had been shot and dreadfully wounded by her brother-in-law in the southwestern US and hauled to the northern Midwest in the back of the family van. She had a very difficult time of survival, so I wanted to write a story involving something important of her character. We were visiting my wife’s relatives in the southwest not too far from I-10, and one day as I watched the many freight trains traversing the valley in front of their home, I thought, “what if…” Then I came home and wrote the tale. As for the process, I kept a couple notebooks and wrote out some plot lines and individual character sketches and a general story line for the whole book. I wrote one very long draft, which I then submitted to my editor. Who wrote me a 13 page critique, essentially recommending that I rewrite the novel. Which I did, and then I purged the manuscript for as many errors as I could find. Then back to the publishing house for another two or three line edits. BJ: Can you tell us a little about your newest release The Cost of Dreams ? GS: It is a fiction work of 287 pages, as tightly wound as I was capable at that stage of my writing development. I decided that I wanted to stress the reader quite a bit, even somewhat unrelentingly. To worry the reader all the time as to the fate of any number of characters, but principally Flora E. I think because Flora was compelled to worry about her fate every single minute of her life. So why should I let the reader, or even the other characters, off the hook. BJ: What inspired you most in creating the story of Flora Enriquez? GS: I had traveled in Central America and Mexico enough to see that life, with much lower public health and general living standards, was much, much harder. With high unemployment, very low wages, and a desperate set of circumstances, including lots of hunger and malnutrition. Which provokes certain behaviors, like migration. So I wanted to write a story empathetic to struggling travelers. And because I really do detest the government policies of constantly sowing ill will about immigrants and foreigners. Always in an attempt to disorient the public as to our more pressing social problems, and blaming foreigners for those problems. BJ: Do you usually cast your characters (a mental picture) before or after you have started writing? Does it help inspire you and take the story in a different direction? GS: I think I had a pretty good idea as to the population of characters in the book before I began. However, the first draft was terribly flawed. So lots of really basic changes were made. And, of course, lots of new ideas come along as one works. Endless little polishes happen. It is very, very enjoyable activity. BJ: What was your favorite scene to write in The Cost of Dreams? What was the most challenging? GS: The surprise visit by the migrants to the El Paso apartment of a foreign born physician for assisting Flora in her terrible injuries was fun to concoct. And the indignity of the physician toward others that were pressing upon him crazy expectations, I found interesting to contemplate. And I had some sympathy for him. The most difficult scene to write was the one deep in the wilderness of the Barranccas del Cobre of northern Mexico at the site of the waterfalls when the Vietnam veteran is hurt. The logistics of laying that out in an interesting, vivid, and very understandable way for the reader I really had to wrestle with for hours. And I never was really satisfied with the result. BJ: Did you ever draw your characters from the personalities in your life? BJ: What is the most interesting thing you’ve done in the name of research? GS: Oh I read a lot. And then, if at all possible, I like to see first hand the sites and persons about which I am going to write. BJ: Practicing Medicine for 30 years, what inspired you to make the jump from being a doctor to writer? GS: I had always wanted to save some of my life span for writing. Because I have a few tales I want to tell, and because I love the work of writing. I really do. And I had been a physician for those decades, and certain elements of the doctoring were becoming impossible. For example, seeing patients with overwhelming needs for which there were no funds made available to meet their needs. Like asking students to write an essay, and then denying them paper and pencil and desks. When one sees this day after day for a number of years, an exasperating futility sets in. Not productive or healthy. BJ: Do you have any current projects in the works? GS: I am doing background reading for a novel to be set in New Orleans at the time of Katrina. I’ve spent time there, and I will go back for a while until I find the thread of a story. Then something of the process I have already outlined above, until I’m done. Then I’ll do a novel set in Detroit, the epicenter of America’s industrial collapse. BJ: For you, what is the hardest part of writing a novel? Concept, Characterization, Plotting, Writing the story, Synopsis/Query letter writing, etc. GS: The hardest part of writing THE COST OF DREAMS was setting aside writing time. I was working full time as a physician, finishing the work about 18 months before my retirement from medical practice. But once I sat at my desk for a healthy block of time (say half a day), I did not find any of the work “hard.” I never once dreaded coming to the work. I was very, very drawn to it. BJ: If you could ask readers any one question, what would it be? GS: Do you want to hear(or read) more tales of real people struggling for a dignified existence?? I hope so, because here they come! !